Secure Access is anti intercepts encrypted communications software for audio, video, chat and SMS. 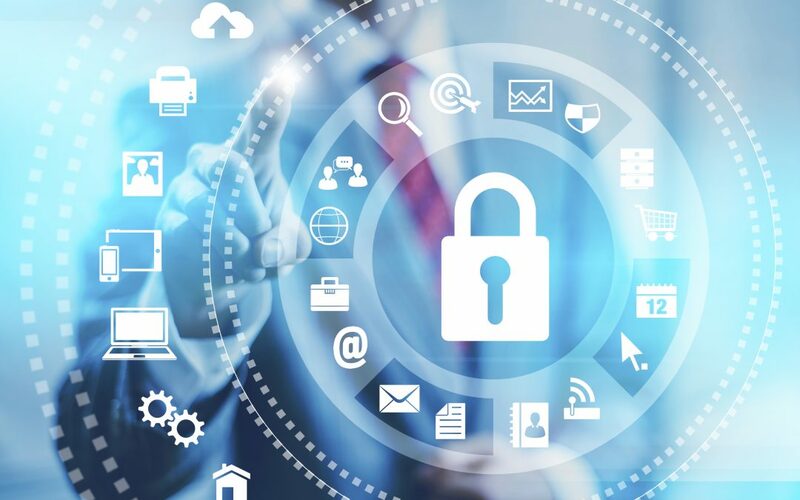 Cryptographic Boundary are components that make up the anti-tapping system has two basic telecommunications infrastructure that the internet media and GSM frequencies of 4 (four) main features of video calls, audio calls, chat and SMS. The type used Secure Access is password software with hardware equipment GSM-based mobile operating system Android is not limited to the kind / type GSM hardware specific manufacturer. Input from one application to another via the SIP Server, so that the application does not directly point to point between applications but via SIP Server. The usefulness of this is SIP Server IP last record of each application to communicate with each other. For SMS communication output of the application is already encrypted SMS henceforth be channeled through the medium of GSM frequencies. Another application of the output side of the central operators use GSM frequencies in the form of SMS data is further encrypted Secure Access application will decrypt the data so it can be read receiver. Service call audio is encrypted using the protocol SRTP (Secure Realtime Transport Protocol) using audio codecs G729 and TLS (Transport Layer Security) SIP Signalling. 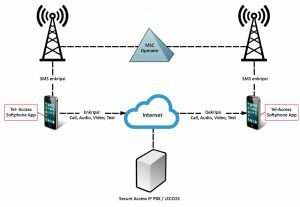 Video call services using audio protocol SRTP (Secure Realtime Transport Protocol) and the VP8 video codec, audio codec G729 and TLS SIP Signalling. Prytocol TLS chat services using SIP Signalling and DH (Diffie-Hellman) protocol for each conversation coated AES 256 encryption (Advanced Encrption Standard). Make and receive fully-encrypted voice calls on your mobile device, all you need is a data connection (EDGE, 3G, LTE or WiFi). Every call you make is secured using a new set of unique keys, with advanced MiTM (Man-in-the-middle) attack detection to prevent 3rd parties from intercepting your calls. Enter the number or select a contact from your address book. The secure access app works just like a regular phone with access to all your contact and a full call history. With a secure access subscription you can make encrypted voice calls to other secure access users. For SMS, you can write a message to all people without tapped. With a secure access subscription you can make encrypted text SMS to other secure access users. Our secure network decides how to connect your call. Our secure core network was purpose-built to deliver secure voice services to million of global users. Our scalable platform runs on state-of-the art hardware with full redundancy built in. Each call has a different set of a keys, so even if an attacker discovered a key, it would be useless for any future calls you make. Every call uses a unique set of 2048-bit encryption keys, agreed securely between the two devices. Only you and the person you called know these keys, and they are destroyed when you end the call. Your conversation is now being encrypted in real-time. Your call cannot be intercepted, recorded or eavesdropped on. 256-bit AES encryption : each call is encrypted on your device only other party in your call can decrypt the call. Any third party attempting to listen in or record your call would get worth less random noise. Your calls to any number worldwide are completely encrypted between your device and the Secure Access network. This protect your calls when you’re travelling abroad or using untrusted Wi-Fi or mobile data connections, while allowing the flexibility of a normal mobile phone to call any number. We call this technology Hybrid Secure. Your entire call is encrypted using the AES-256 (Advanced Encryption Standard) cryptographic cipher. The strong, unique 2048-bit keys used for each call are created between Secure Access devices using the Diffie-Hellman key agreement protocol, providing Perfect Forward Secrecy.